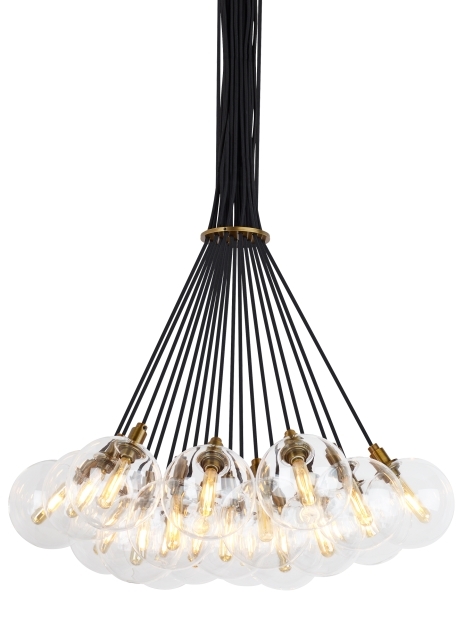 This modern beautify is a multi-port chandelier which mixes high end materials and retro-inspired, fully dimmable LED lamping. 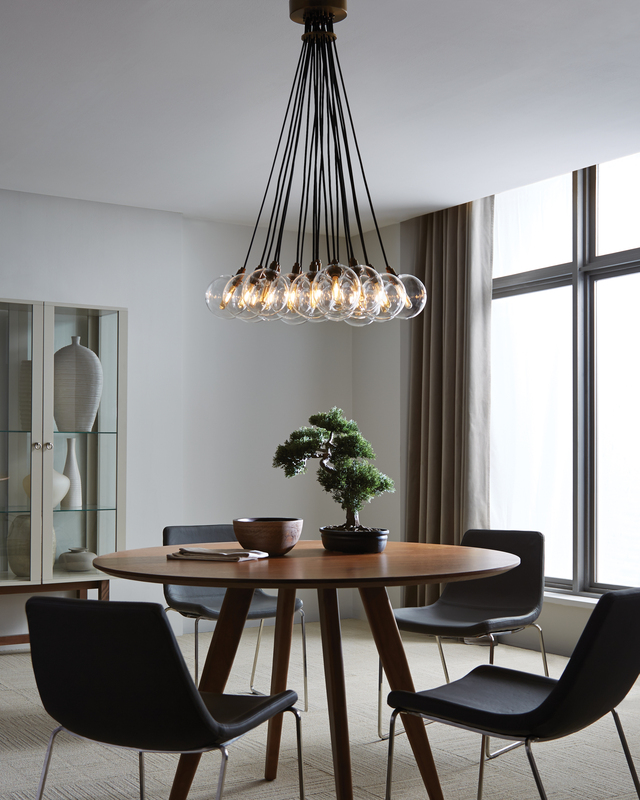 The soft curves from their seemingly delicate yet durable borosilicate glass globes make these chandeliers incredibly attractive. This distinctive chandelier is sure to add an incredibly warm allure to dining room lighting, kitchen island lighting, bathroom lighting and living room lighting applications alike. Aged brass finish. Rated for up to (19) 5 watt E12 candelabra base (Lamp Not Included) or select the LED version which includes (19) 120 volt 2 watt 160 delivered lumen 2700K E12 base, LED vintage tubular lamps. Fixture provided with 10 feet of field-cuttable black cloth cord. Dimmable with LED compatible or triac dimmer.